William Fitzsimmons is known for writing completely honest and fragile songs that are often some of the most depressing things you’ve ever heard. At times he might sing words that you want to relate to, but you don’t feel like you can because it wouldn’t be fair to him. Whatever you’re going through just doesn’t seem as painful as what he had. And then there is the fact that it is so depressing that it is really hard to listen to. Everyone loves a sad song, but these really bring you down. 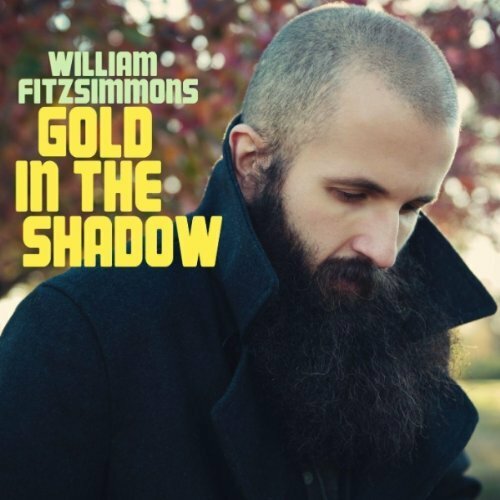 With Gold in the Shadow William Fitzsimmons shows a little more hope lyrically through songs masked with minor chords, dissonant piano, a laid back rhythm section and haunting female vocals. What stands out on this album more than anything is how beautiful it sounds. Maybe it’s just me being proud that it was recorded in Charleston with Jay Clifford (Jump Little Children) and Josh Kaler (Slow Runner), but every little sound on it is perfect. I haven’t heard electronics mixed with melancholy done this well since The Postal Service nearly a decade ago. Overall Gold in the Shadow isn’t as moving as The Sparrow and the Crow, but that isn’t exactly a bad thing. You’ll be able to listen to this album happy or sad.